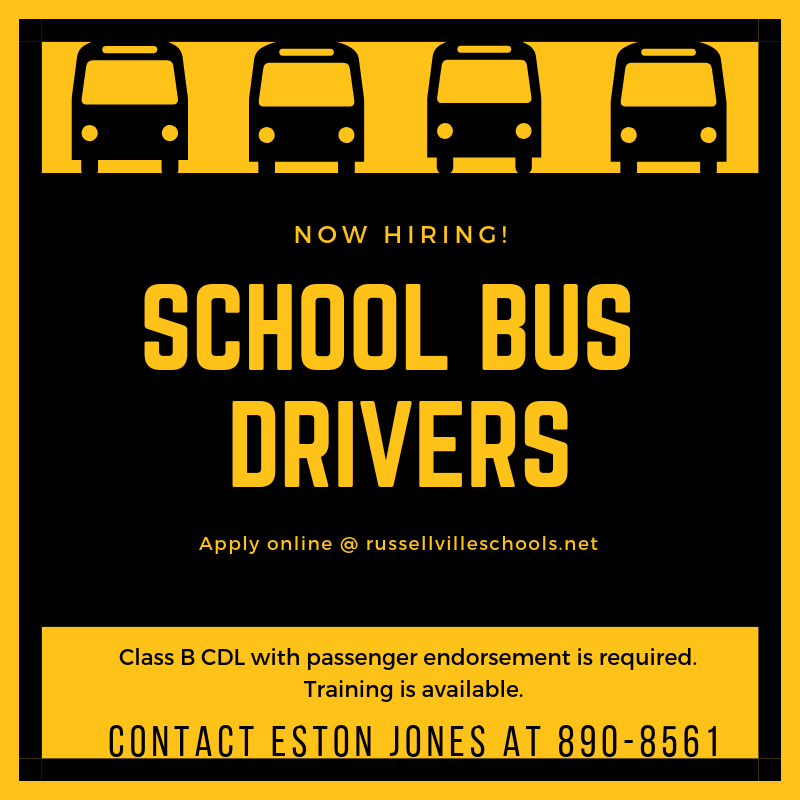 Russellville School District is now hiring school bus drivers! Contact Transportation Director, Eston Jones at 890-8561 or online at russellvilleschools.net. Class B CDL with School Bus and Passenger Endorsement Required *Training is available.